A rendering of the future Chauncey Hill. April 1st marks the start of the project’s most disruptive phase. Though city leaders had previously highlighted the road’s closure through the entire campus this summer, the city will shut down State Street on the west half of Purdue’s campus April first and leave it closed through November, with other portions of State Street also barricaded during the summer and fall. The city is urging drivers to stay away from campus unless necessary, and for Purdue commuters to use U.S. 231, Harrison Street and Martin Jischke Drive to get to school. Purdue Physical Facilities Director Don Petersen says the real heavy lifting will get underway once students leave for the summer, in May. That’s when State Street will be entirely shut down from Salisbury Street through Airport Road. 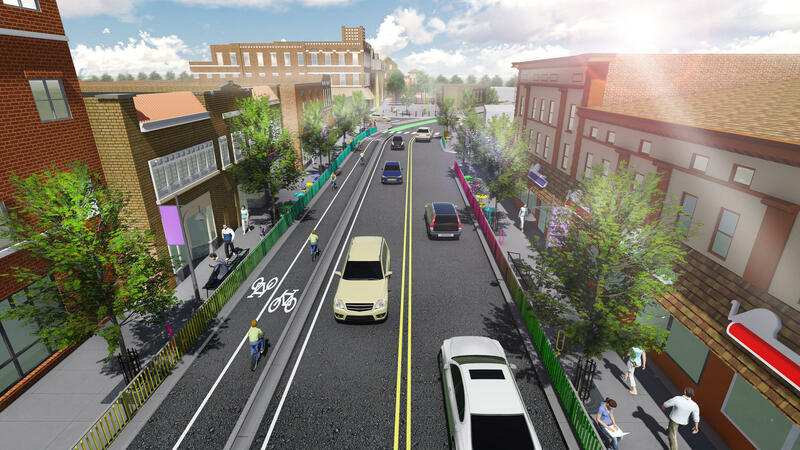 Construction crews will significantly widen the thoroughfare, making way for two-way traffic, bike lanes and pedestrian walkways and sitting areas. Crews will also convert many of the arterial roads from one-way to two-way streets. Construction Company Rieth-Riley will have close to 90 day to pull that middle phase off, says Petersen, and they’re planning down to the minute. Still, he says he thinks the city can pull it off. “It is a very tight schedule, but they’ve signed up to it and that is the work that will happen,” he says, noting the company made the decision to work on the State Street portion first, saving the outer bypass system’s updates for 2018. That construction will focus on making over McCormick Road and Stadium Avenue. Even though the project is likely to cause headaches for Purdue faculty, staff and students, Petersen says there was no way it could get done without completely shutting down the street. Two informational meetings will be held Thursday—the first at noon in Purdue’s Stewart Center and the second at 5:30 at the West Lafayette Public Library—to educate drivers about traffic plans during the upcoming construction. Officials are also hoping residents will visit StateStreetWL.com for weekly and daily construction updates throughout the project. That’s the word Purdue officials have chosen for their reaction to a call from West Lafayette city leaders who wanted more transparency in the process of deciding which firms would spend as much as $120 million to overhaul State Street. 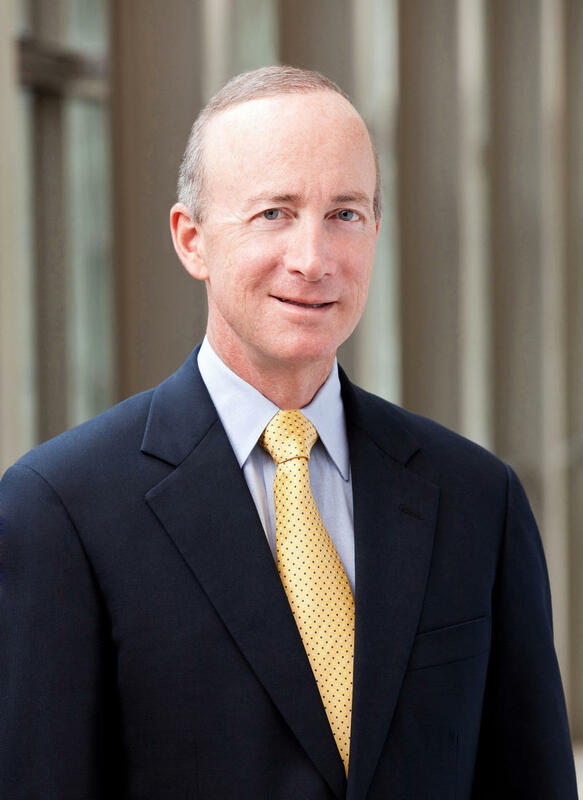 Purdue President Mitch Daniels says a little secrecy is the price of doing business, and says Purdue doesn’t have to help. But city leaders admit they need the school to front the money or the job will never get started. That’s just one of the topics on this edition of WBAA’s Monthly Conversation With Mitch Daniels. The city of West Lafayette has hired a new development director to oversee the business investment the city will rely on to pay back the cost of its State Street overhaul. Erik Carlson replaces Chandler Poole, who sat on the Joint Board that drew up the State Street redesign, but who left the city earlier this year to move back to his home state of Wisconsin. Carlson has worked in economic development in Indianapolis and before that in Lexington, Kentucky, where he covered the beat as a reporter. West Lafayette officials continue to put together the State Street Master Plan. The document will guide the appearance and safety issues along the stretch from the Wabash River through the Purdue campus. Development Department spokesperson Bev Shaw says the public has two chances to see the current ideas under consideration and offer any of their own. An open house will be held in Purdue’s Stewart Center Thursday from 11:30 to 1:30, and a formal presentation is scheduled from 5:30-7:30 Thursday night at the West Lafayette Public Library.